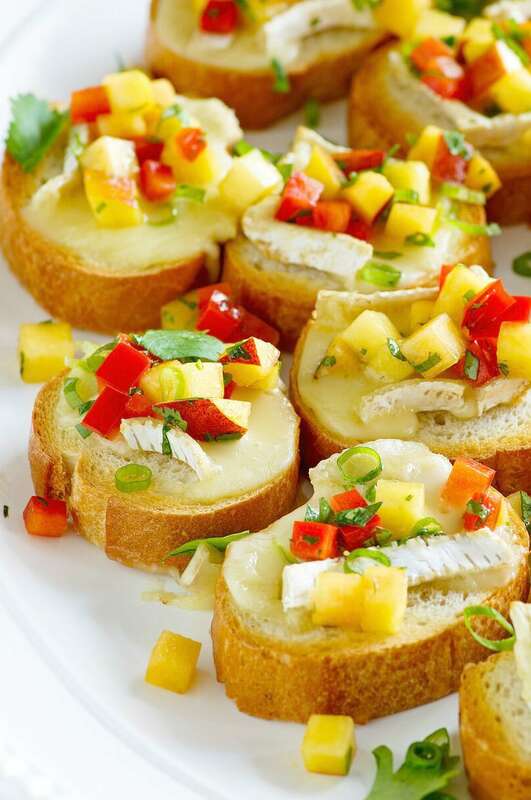 This Peach and Brie Bruschetta is an excellent summer appetizer recipe. Fresh peaches and melted brie are so good together! Sometimes I think the best part of summer is the peaches. All year long, I really crave them. And when summer starts rolling around, I look for the best, sweetest peaches. 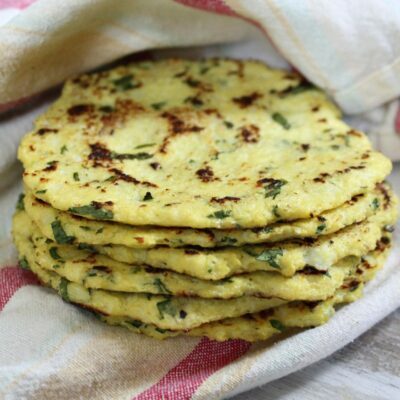 They’re great in salads, they’re perfect in pie, and they’re so completely awesome to eat all on their own too. 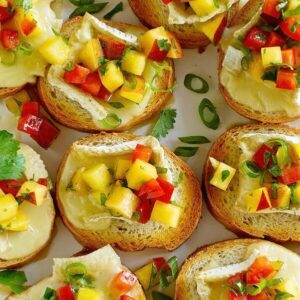 Peaches happen to be really good in a fruit salsa, and that is what their function is in this Peach and Brie Bruschetta recipe. 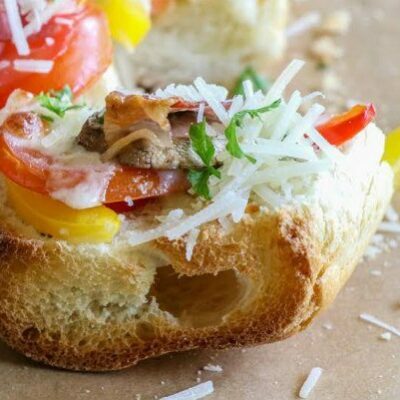 Thin slices of baguette are lightly toasted as a chunk of brie cheese melts on top. 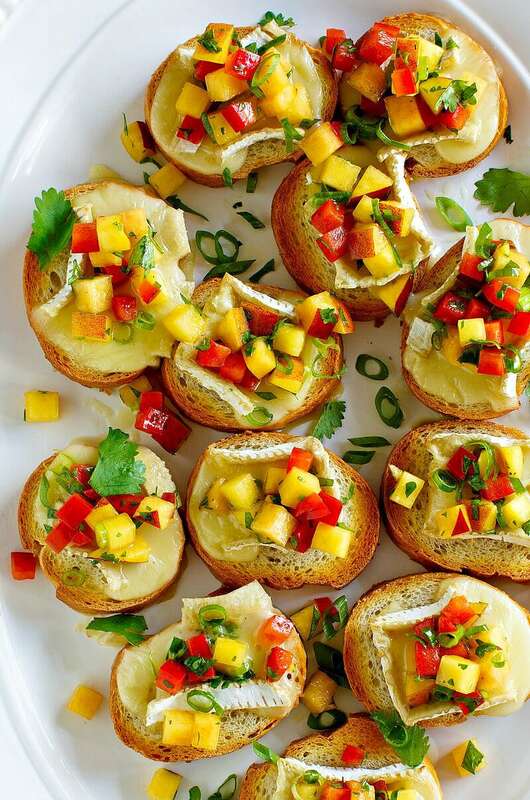 A simple peach and red bell pepper salsa is spooned on top. It’s wonderful. 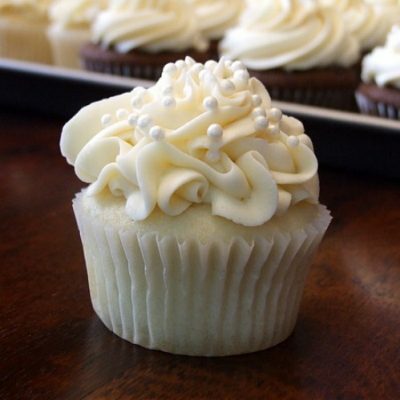 And you’ll want to eat six of them right off the bat! 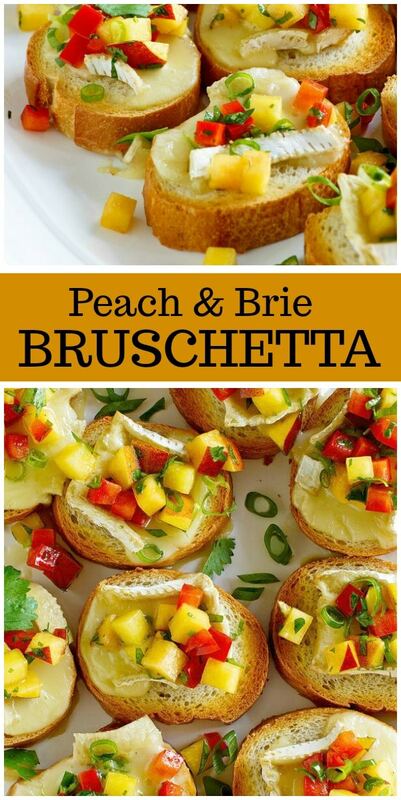 I have served this Peach and Brie Bruschetta recipe at so many summer parties over the years. 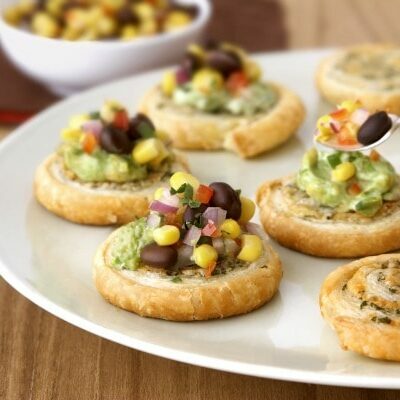 It’s always, always the first appetizer to disappear. When people spot the peaches, they’re drawn to them like a summertime crush. And then they discover there is brie involved, and they’re already asking for seconds. 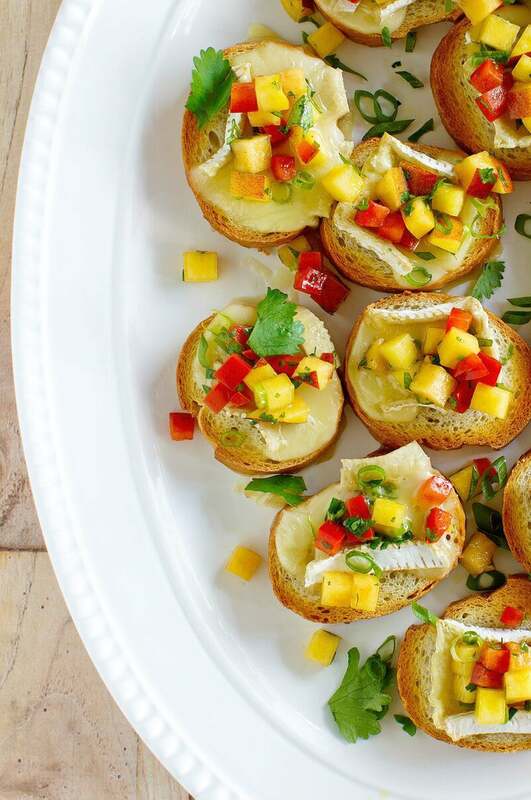 You’ve gotta try this recipe for your next summer gathering! 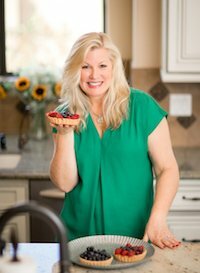 If you are looking for more summer appetizer recipes, you might also enjoy my Baked Brie with Blueberry Sauce or this Watermelon Salsa. Strawberry- Avocado Salsa, Watermelon- Feta Skewers, and Greek Salad Cucumber Bites are delicious summer appetizers too. In a medium bowl, combine the peaches, bell pepper, green onions, cilantro, sugar, lime juice and cayenne pepper. Preheat your oven broiler. Arrange the bread slices in an even layer on a baking sheet. Top each bread slice with 1 piece of cheese; broil 3 minutes or until the cheese melts and the bread is toasted. Remove the pan from the oven. 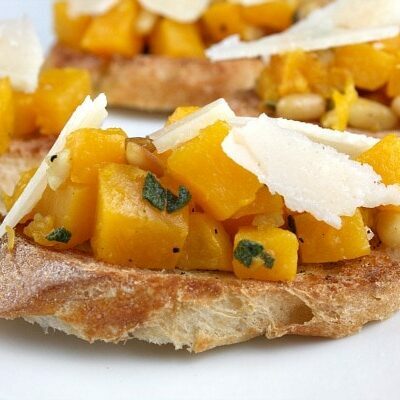 Top each bread slice with about 1 1/2 tablespoons of the peach salsa. Serve immediately. Please double-check ingredient labels on products to make sure they work with your diet or allergies. 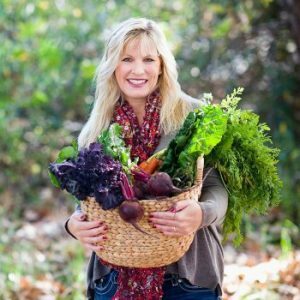 Thanks for including my watermelon feta skewers! 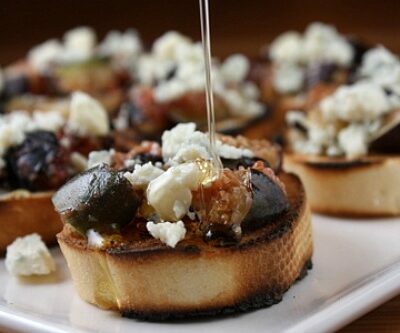 These bruschetta look delish!